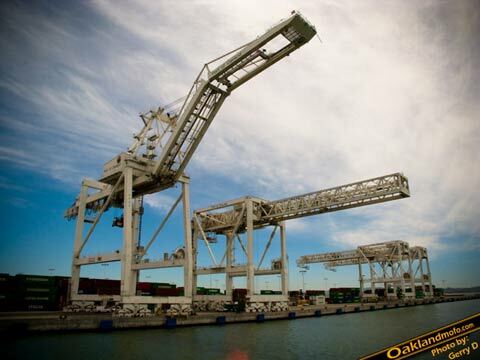 The famous East Bay Port of Oakland Cranes! Why? 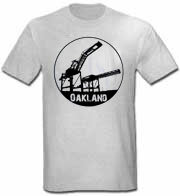 Because Oakland is Proud! These are Bay Area Landmarks with the whole Star Wars AT-AT rumor and all. These port shipping cranes move so many tons of goods through our system daily! The shirt comes in all different sizes and styles. You can choose between mens and womens sizes as well as plus sizes. The shirts are printed through CafePress, the leader in online shirt production. We do not have them in stock here, they will be shipped direct from CafePress. We have had many happy customers and have even spotted our designs around town. *Note* This shirt was made with my photography as seen below.